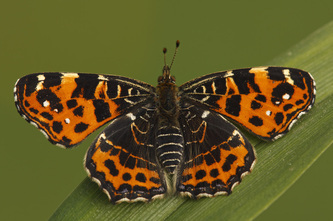 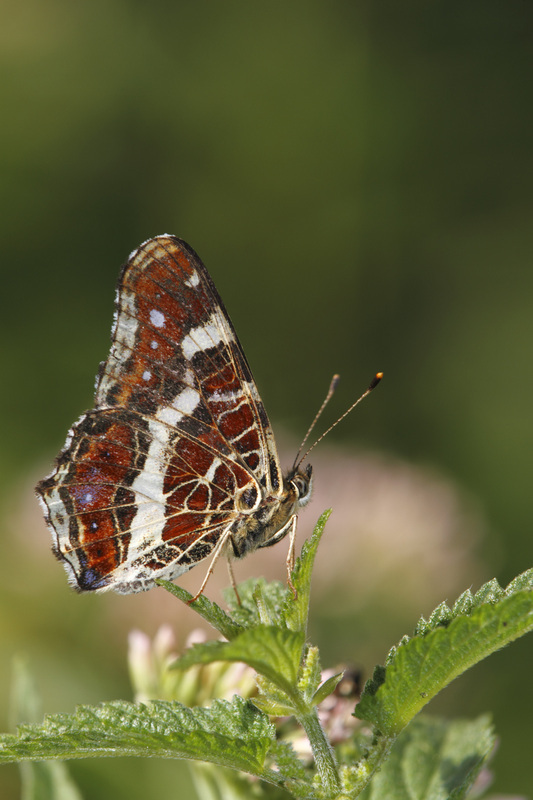 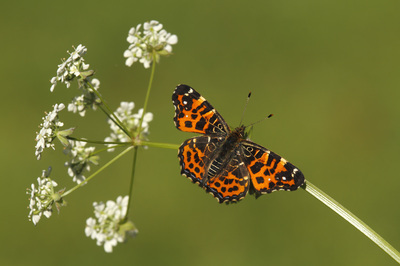 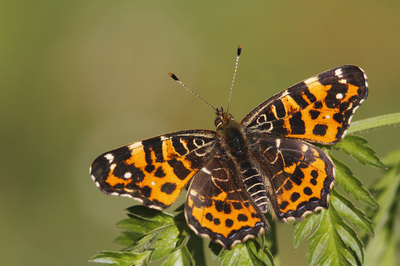 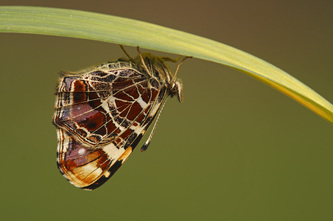 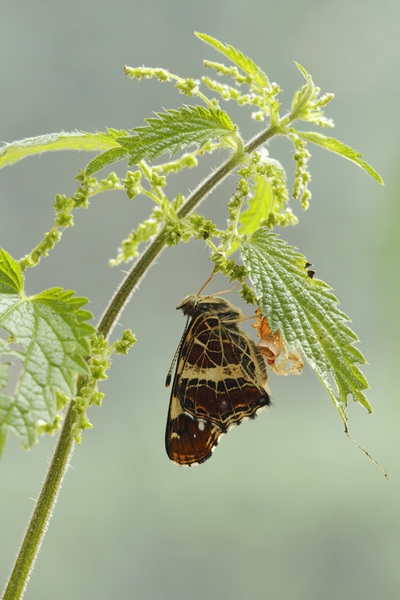 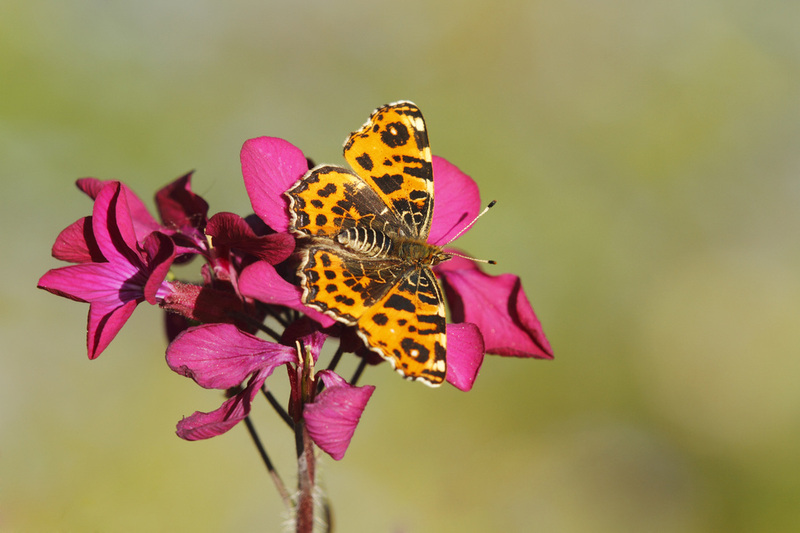 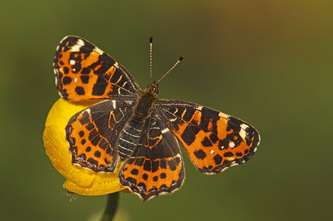 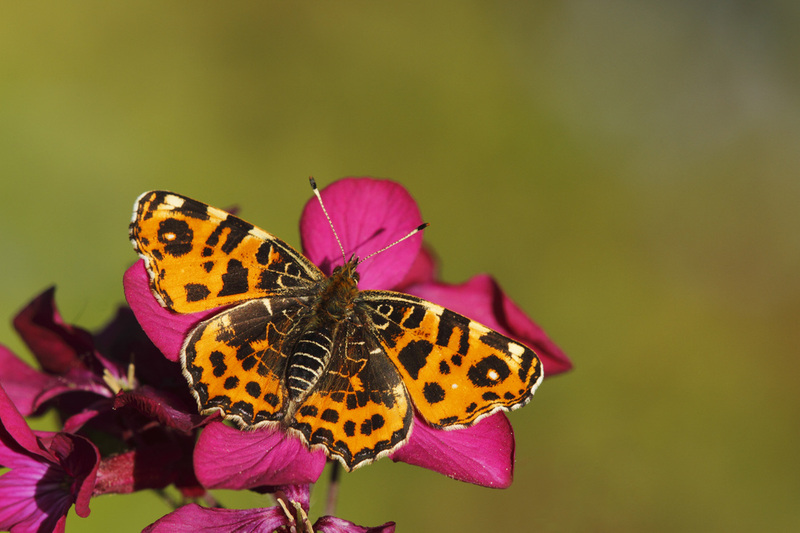 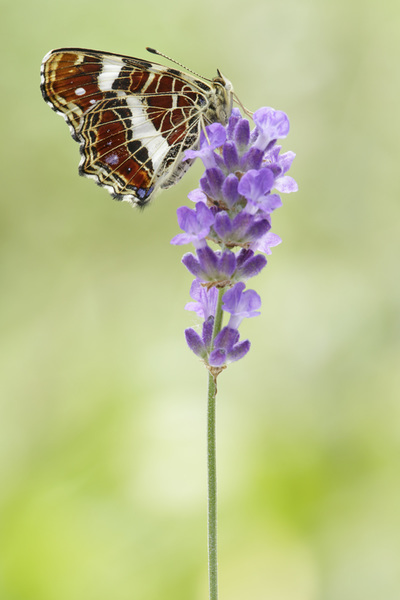 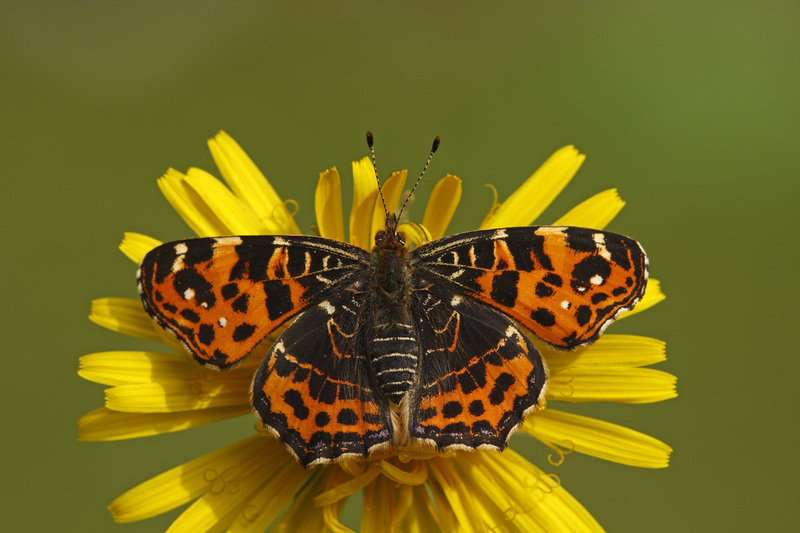 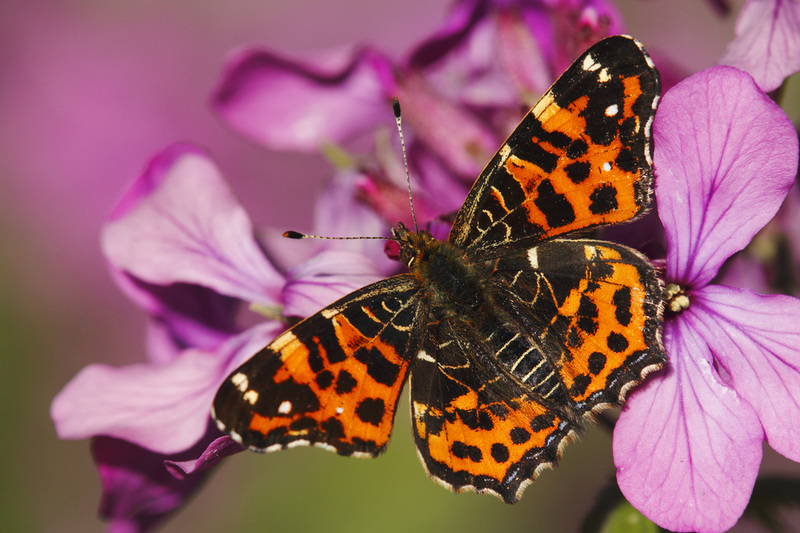 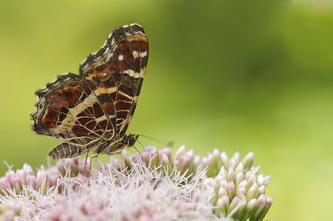 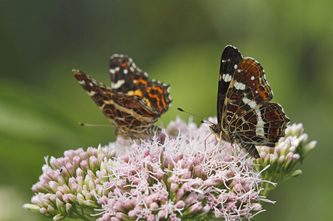 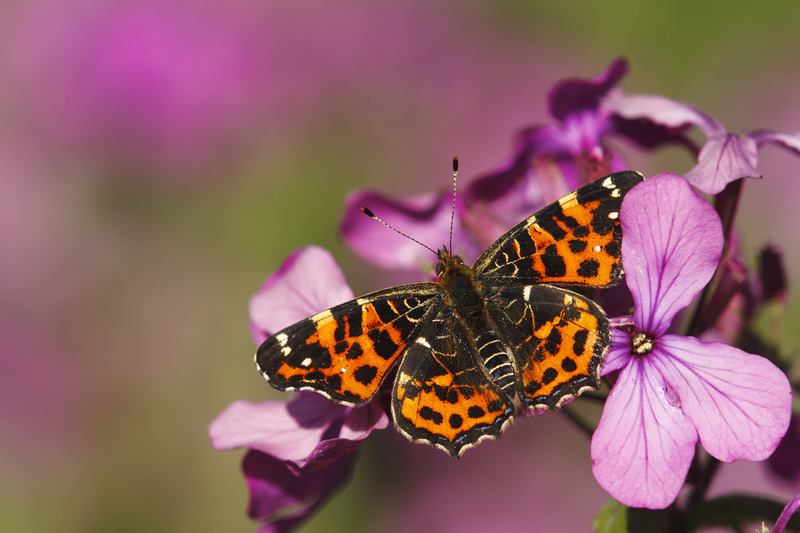 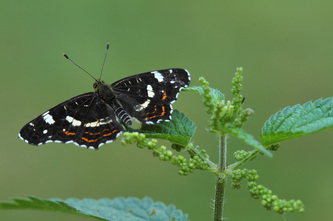 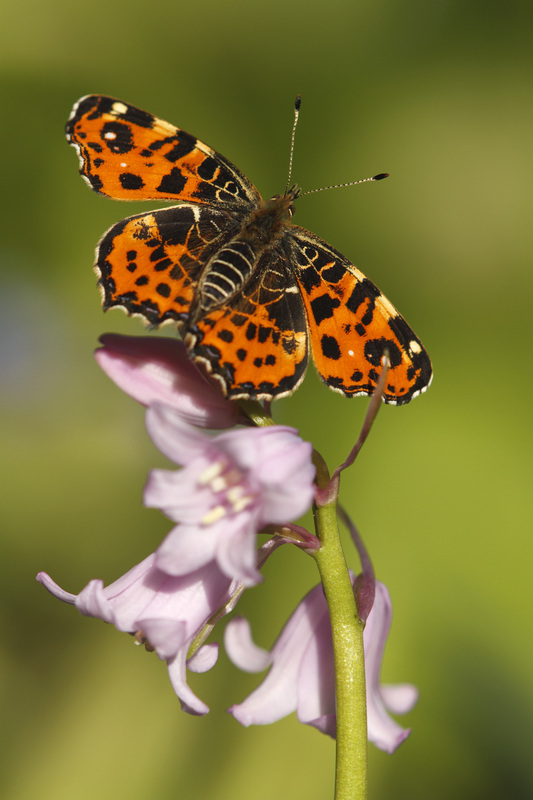 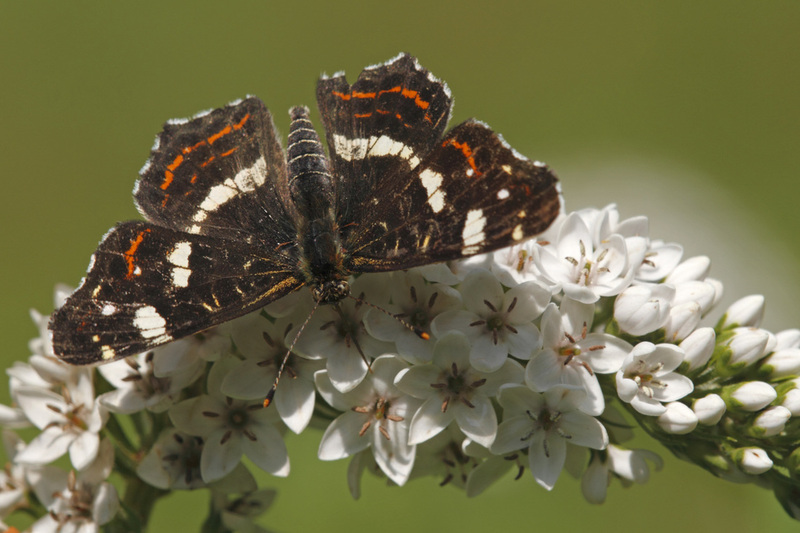 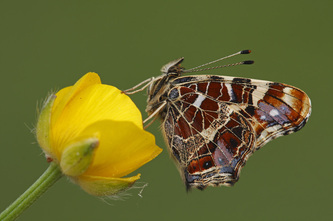 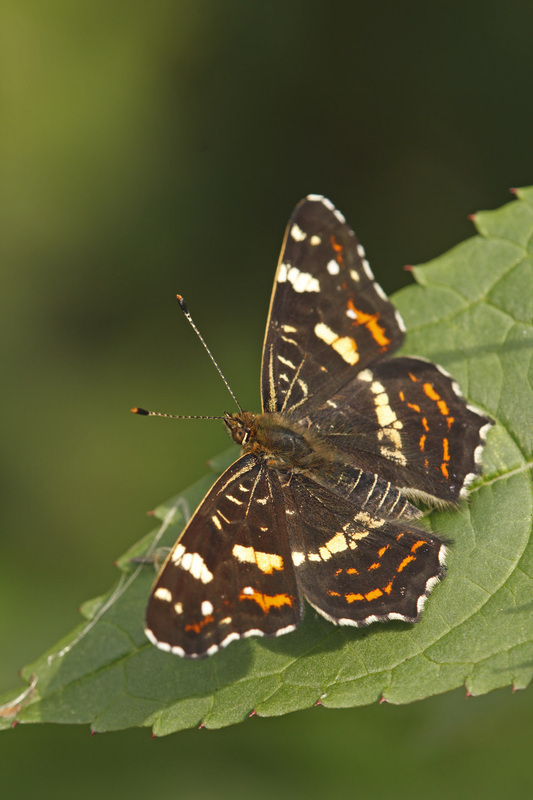 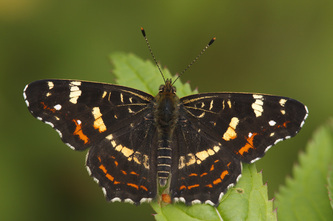 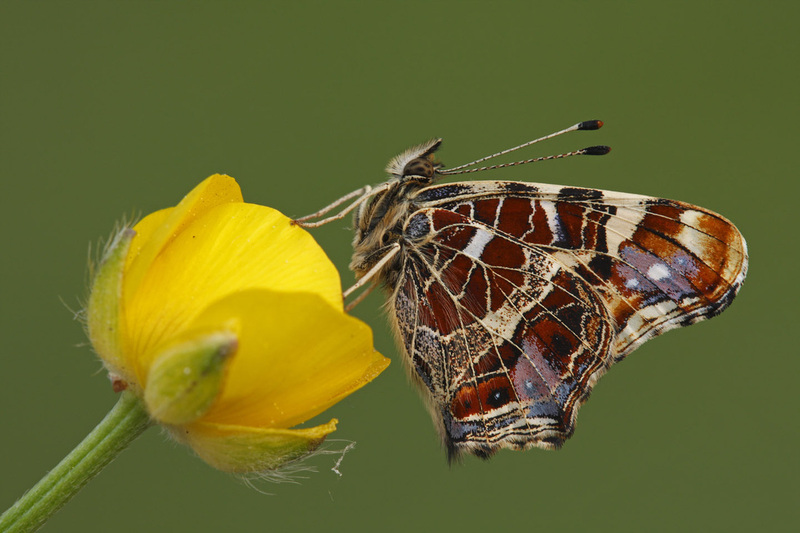 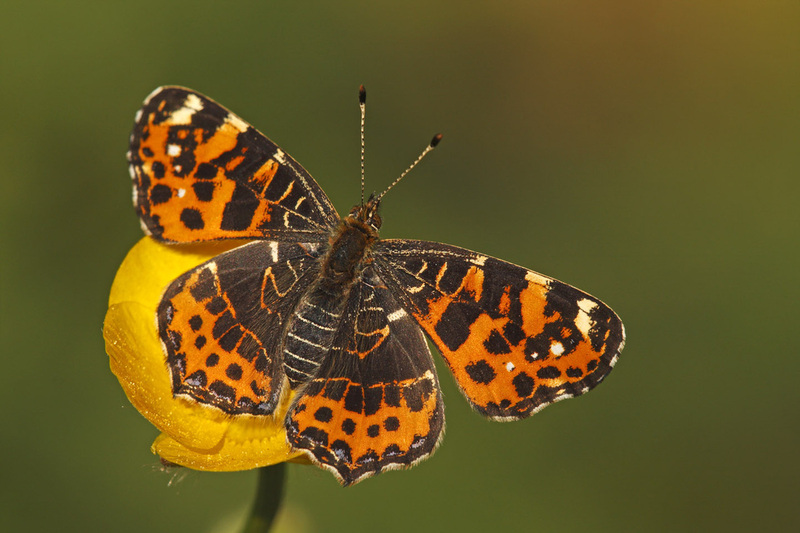 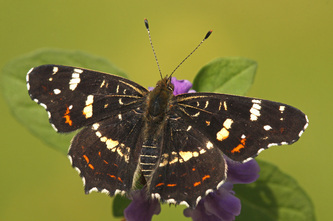 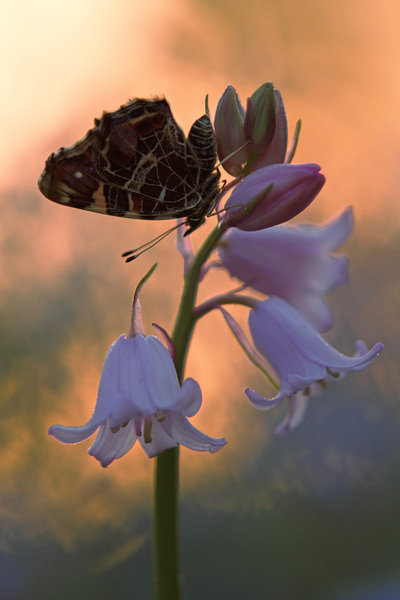 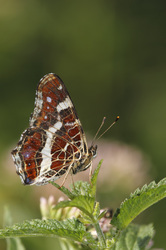 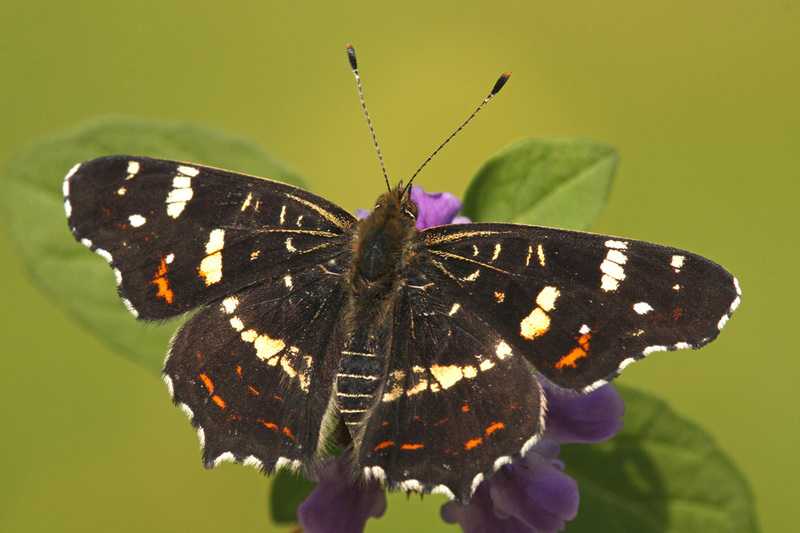 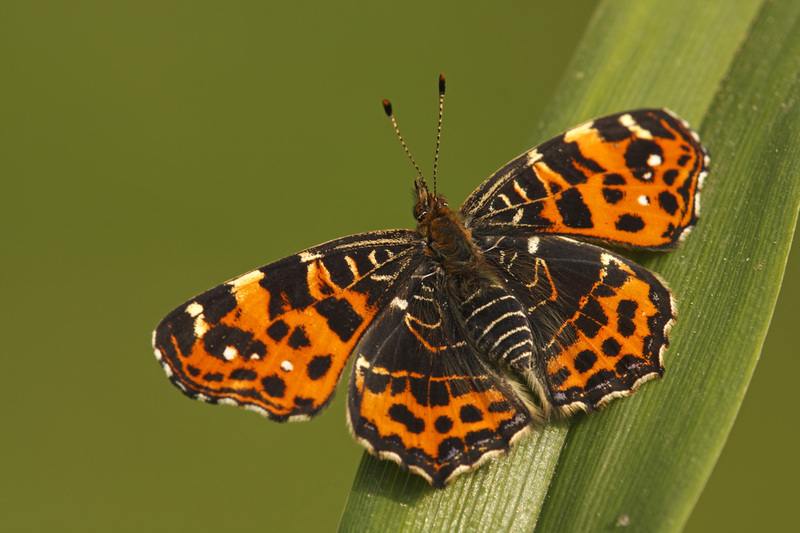 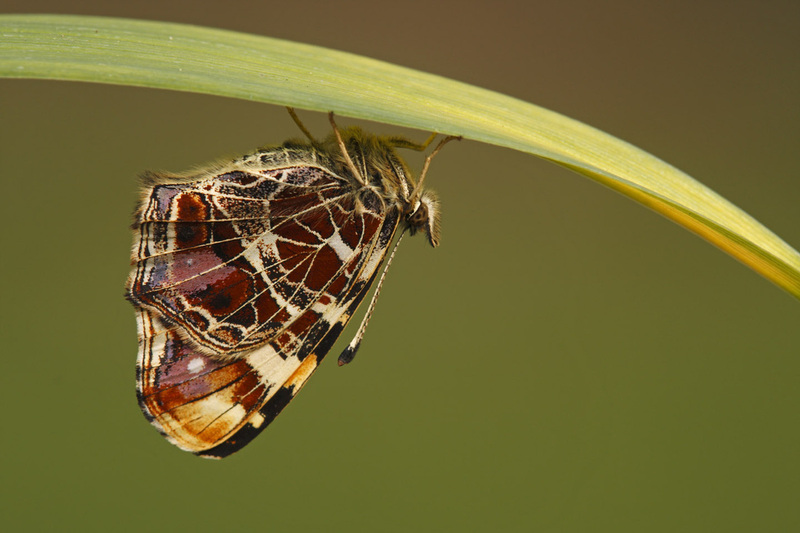 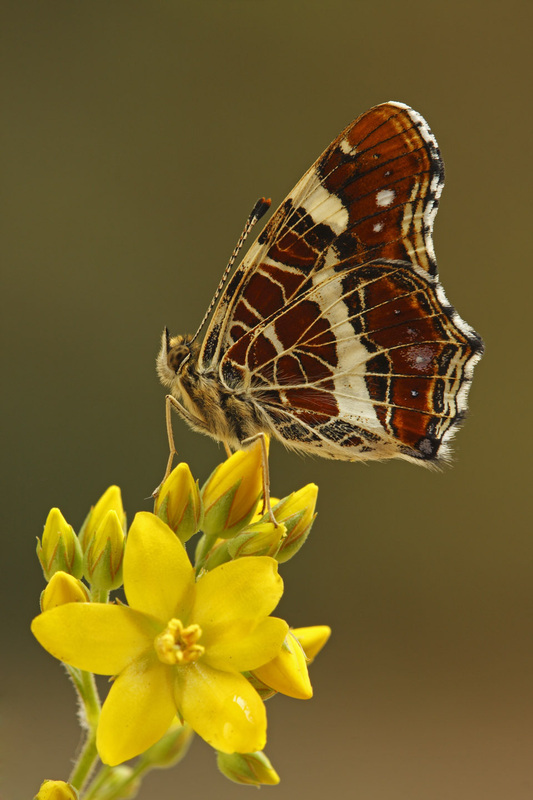 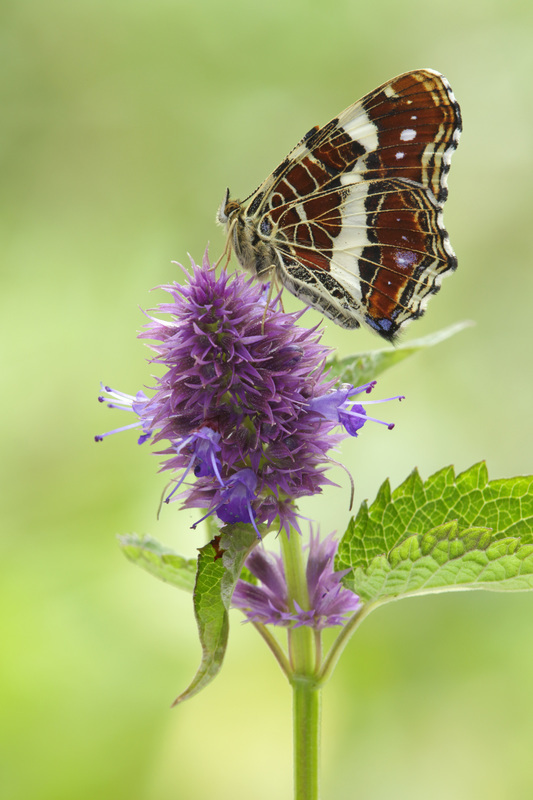 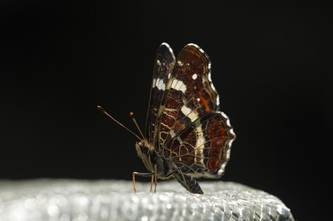 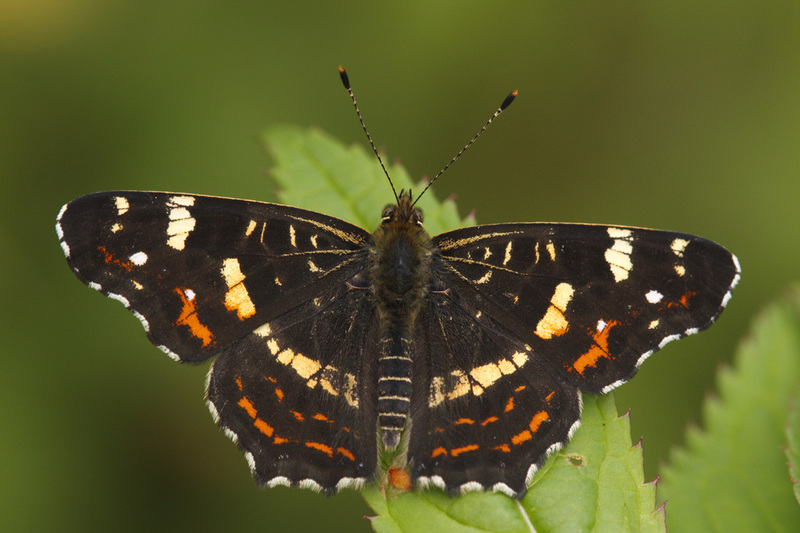 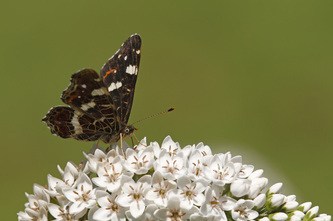 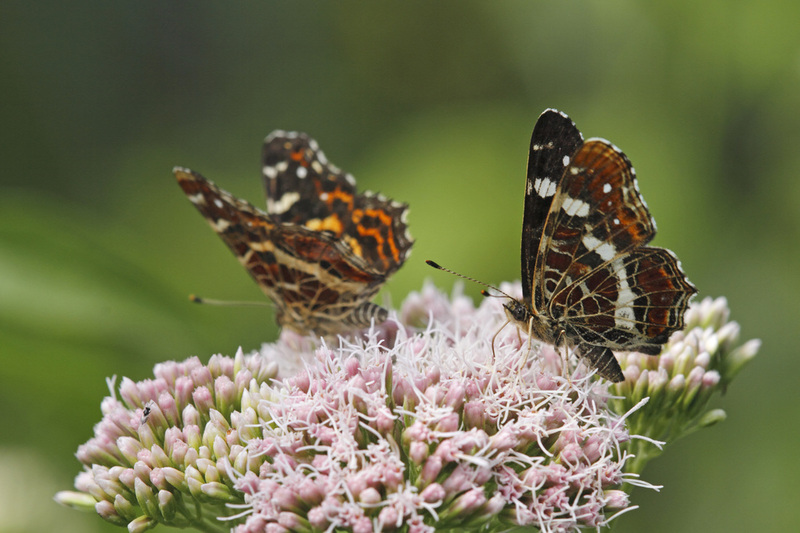 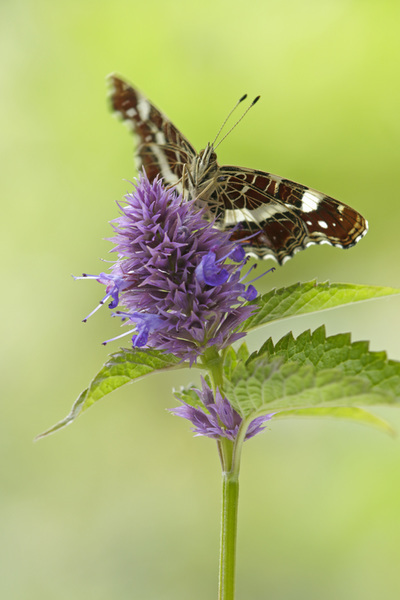 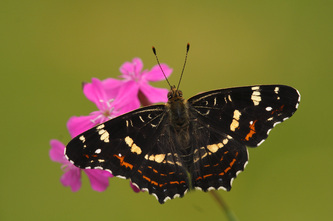 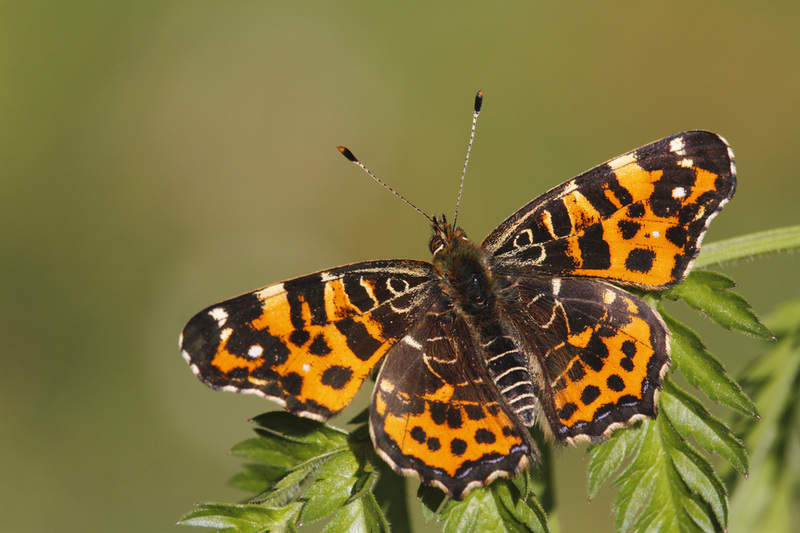 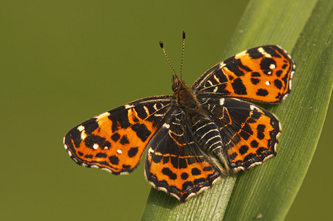 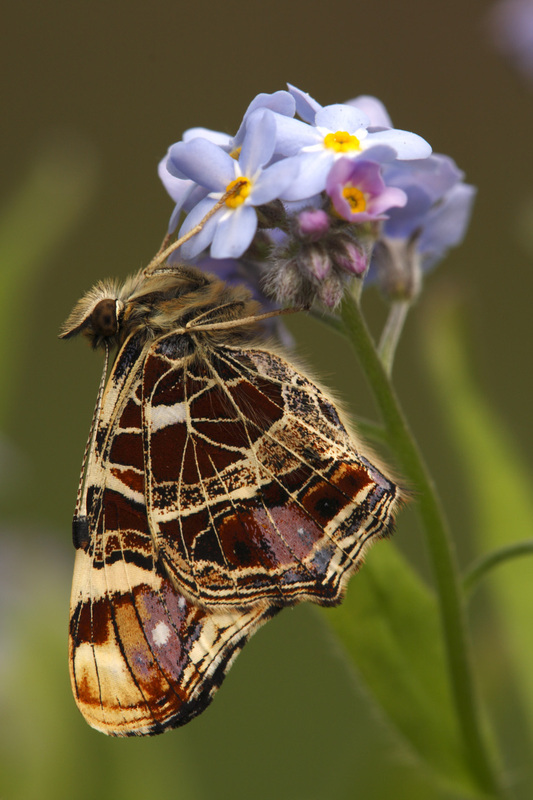 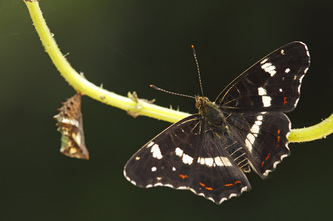 This butterfly exists in two very different seasonal forms: the spring brood, known als f. levana, has orange uppersides and the summer summer brood, known as f. prorsa, has a black upperside. 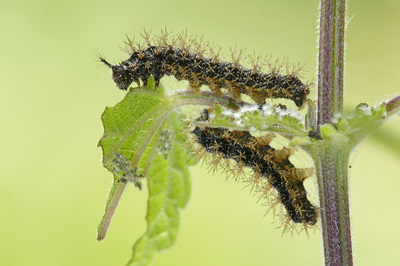 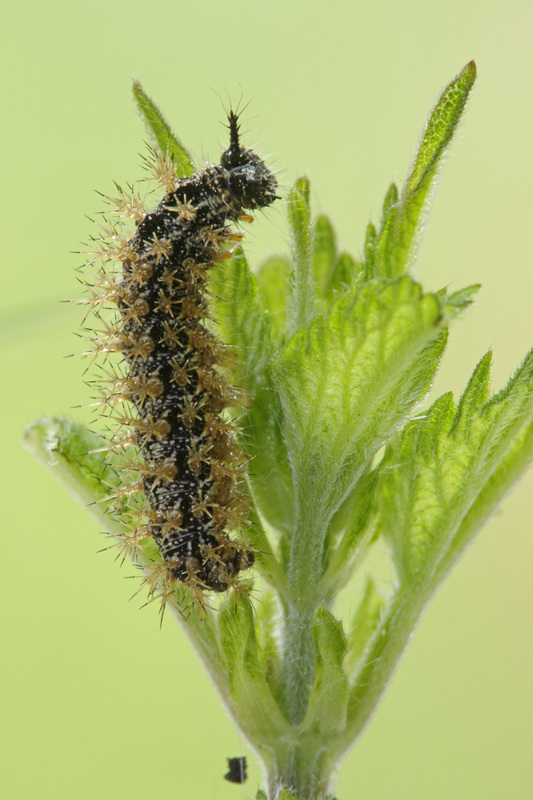 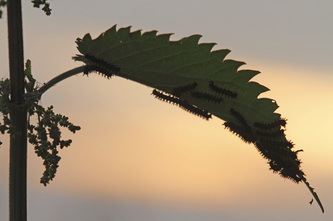 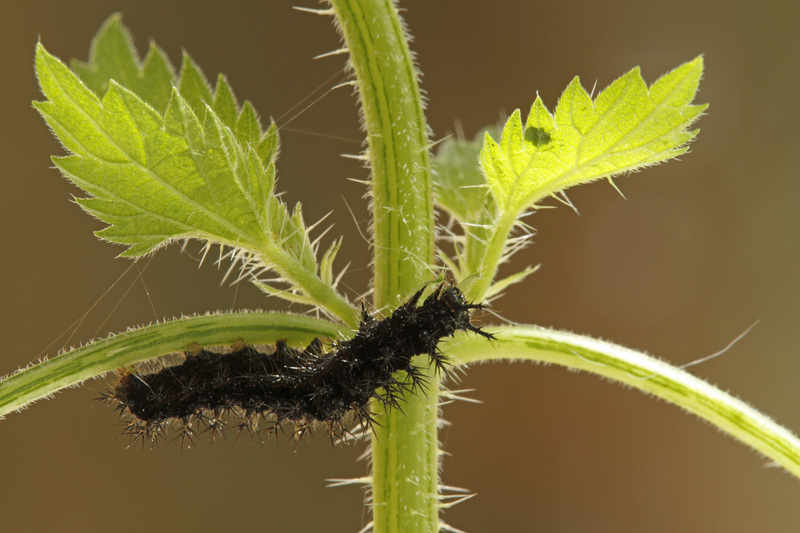 The larval foodplant is Stinging Nettle. 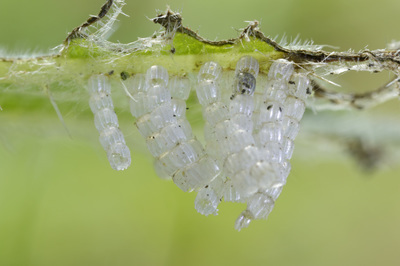 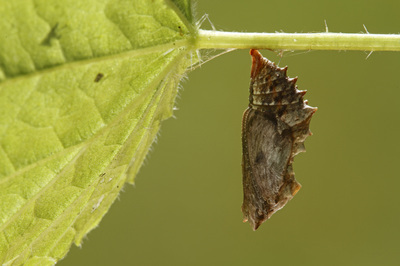 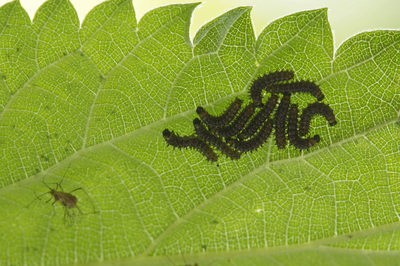 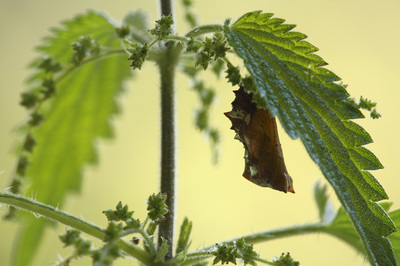 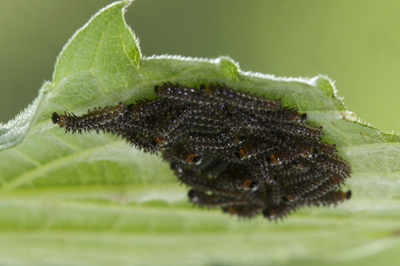 The eggs (pale-green) are laid in chains on the underersides of the nettle leaves. 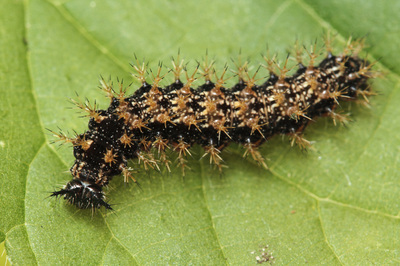 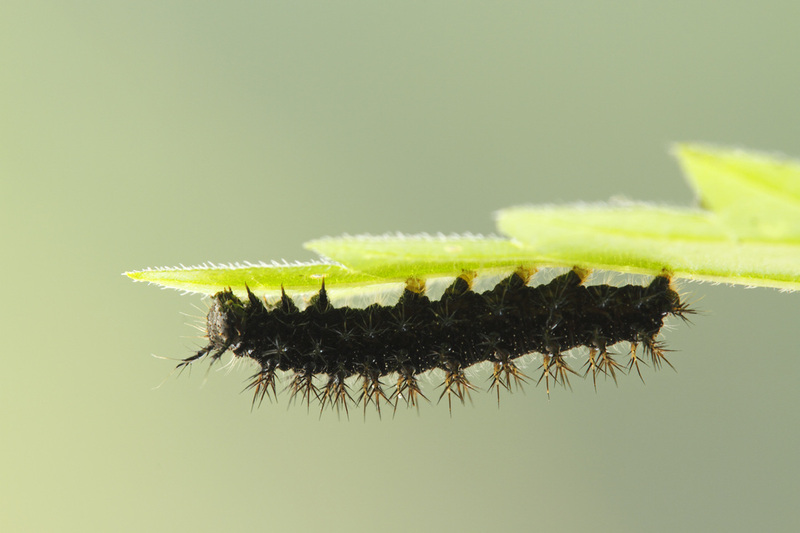 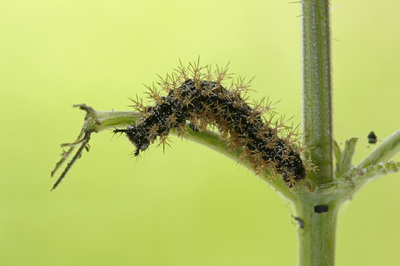 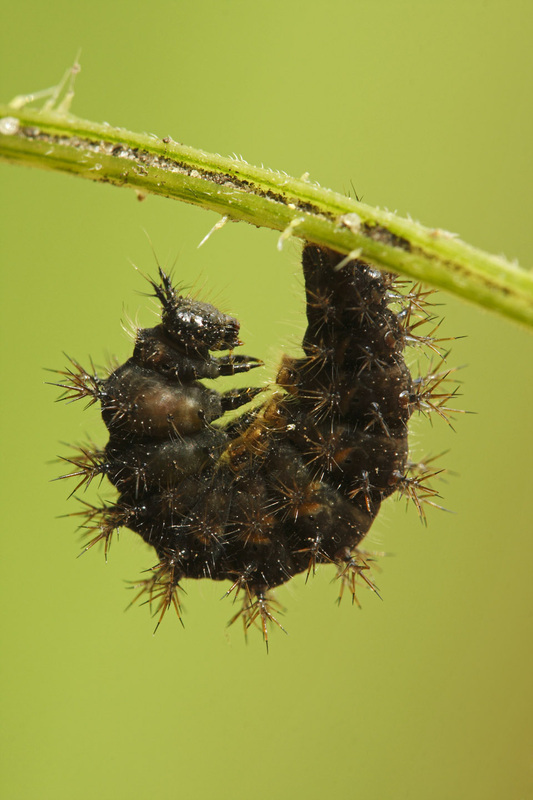 The caterpillar is black, with branched black or brownisch spines on its body and two prominent 'horns' on the head. 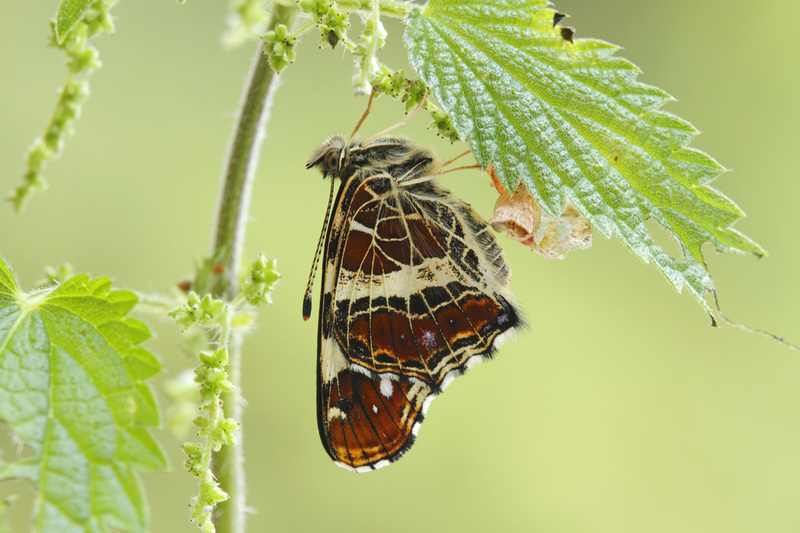 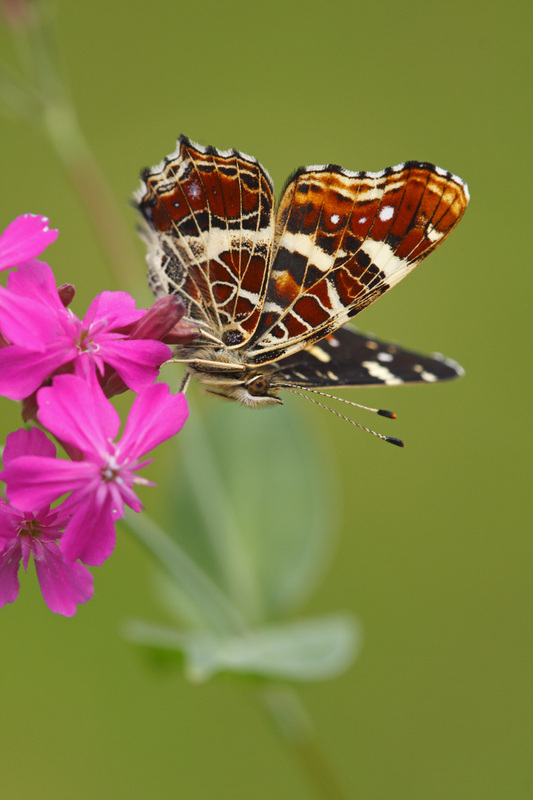 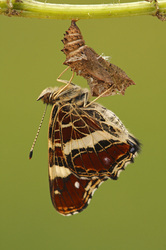 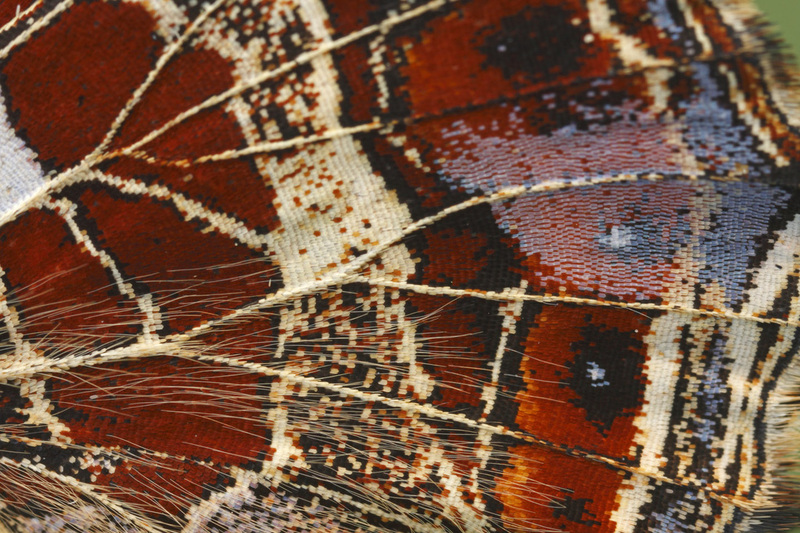 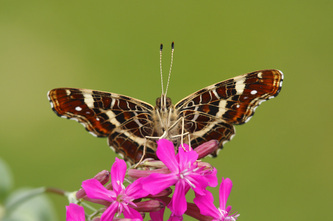 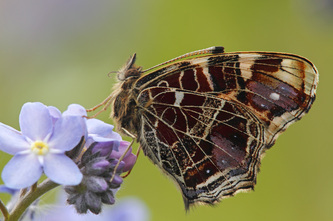 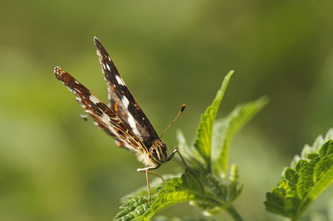 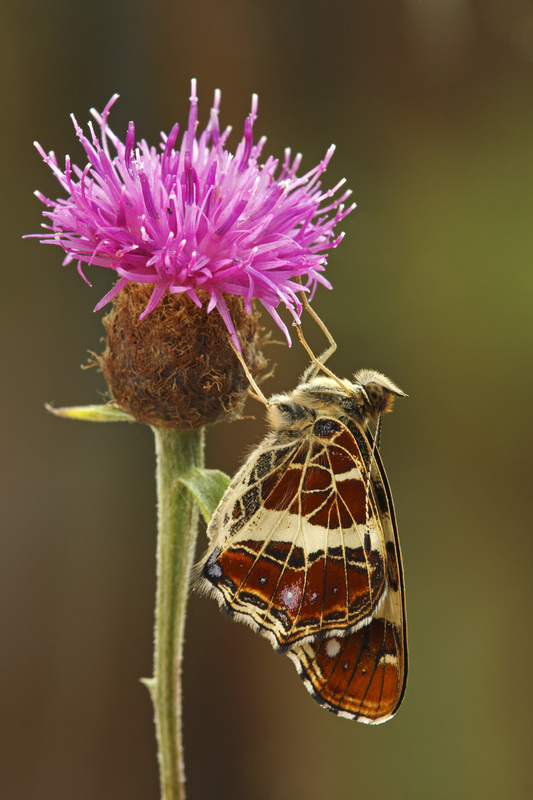 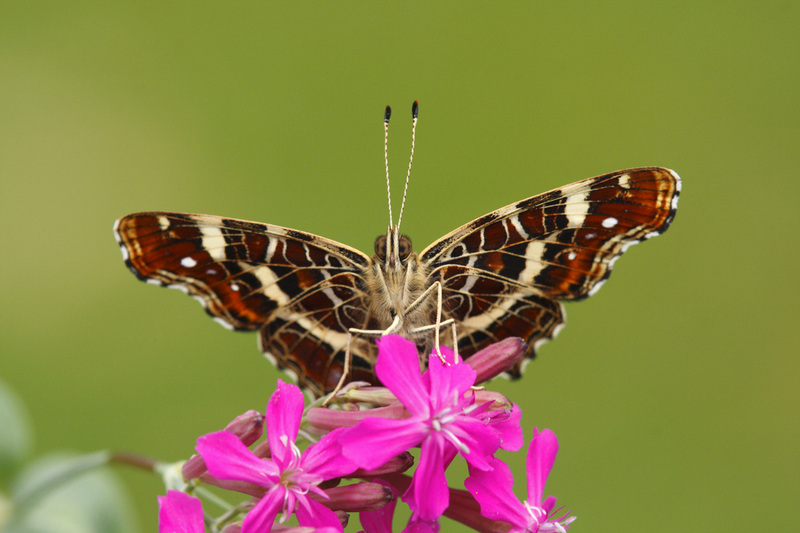 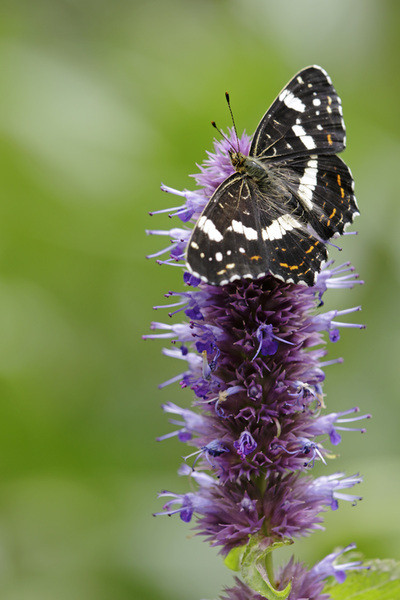 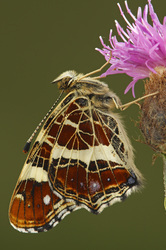 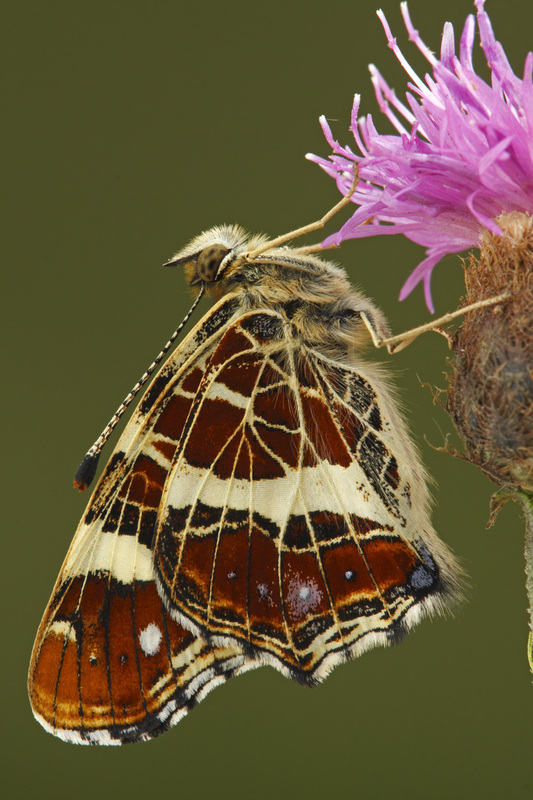 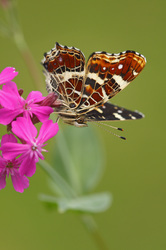 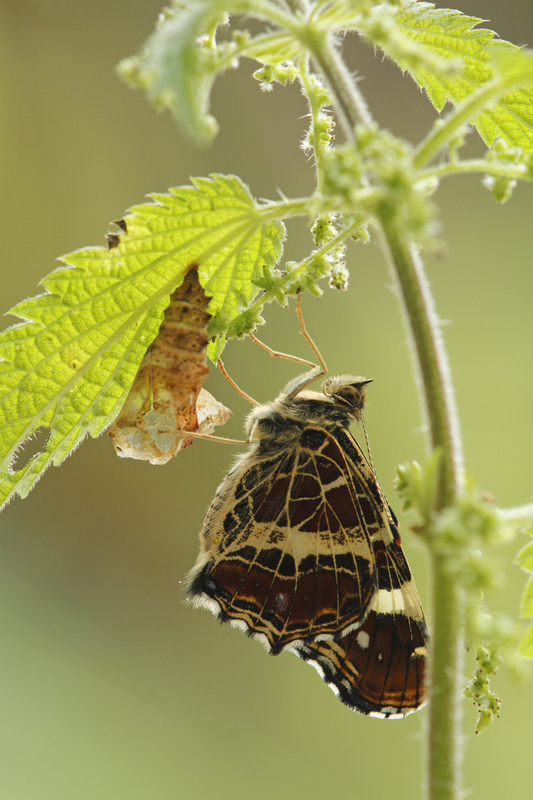 The underside pattern is unique, it is this pattern that gives this insect its name 'Map' Butterfly. This link will lead you to the metamorphosis of the Map Butterfly.